After trolling fans with the largely-unintelligible single “Lift Yourself,” Kanye West premiered another new song called “Ye vs. the People” on Power 106 FM in Los Angeles. Featuring T.I. as ostensibly the voice of the people, the song speaks to the recent controversy surrounding West’s apparent support of Donald Trump, touching on themes of race, police brutality, and West’s observations on the changes between the Obama and Trump presidencies. Listen to a radio rip here. Earlier this month, Kanye said that he’s got a new 7-song album out this June, in addition to a number of collaborative releases with Kid Cudi, Pusha T, and Nas. He also recently delivered a verse about “white dominance” to TMZ chief Harvey Levin while wearing a MAGA hat. 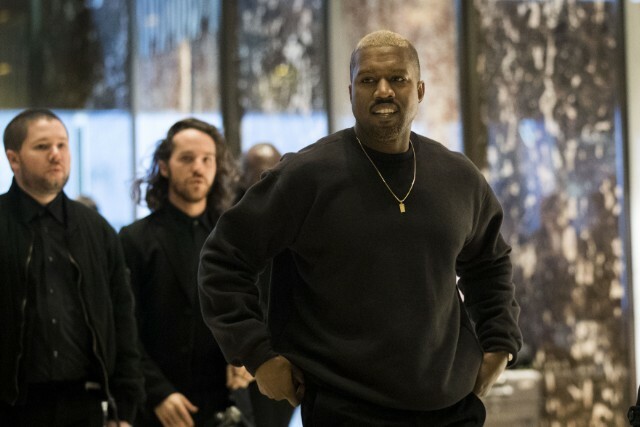 UPDATE 4/29 10:00 AM: A mastered version of “Ye vs. the People” can now be streamed on kanyewest.com.